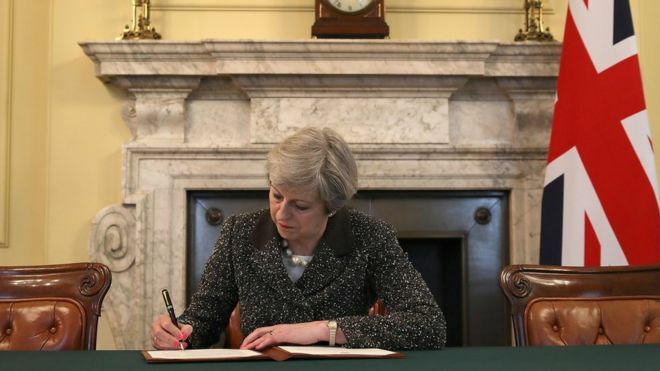 Later today Sir Tim Barrow - the UK's ambassador to the EU - will hand a letter to the President of the EU Council, Donald Tusk, signed by Theresa May notifying him that the UK is leaving the EU. All the dithering, vexatious legal challenges, attempts to undermine democracy and relentless negative campaigning have been in vain and Article 50 will be invoked at 12:30 today. There will follow up to two years of posturing and scaremongering before we finally withdraw from the EU superstate. The negotiations may or may not lead to a post-independence deal being agreed between the UK and the EU but it doesn't really matter. Trading with the EU under WTO terms like most of the world does will be cheaper than remaining in the EU with the added bonus that we don't have unelected bureaucrats in Brussels making our laws for us. Wrap up warm because we're going to be buried by snowflakes today!